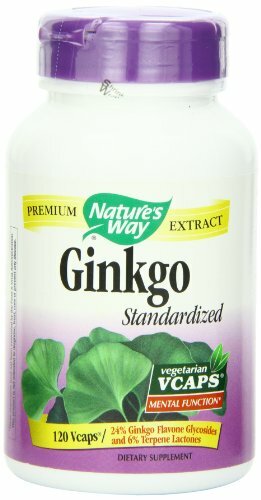 The Amazon imported Nature’s Way Ginkgo Capsules have the botanical extract of Ginkgo, which naturally braces the mental health and sharpens the mental skills. It is recommended to take one veg. capsule two times a day and get the strong cognitive skills and dedicated focus. Hit order now and buy the Ginkgo Dietary Supplement in Pakistan. Legal Disclaimer: * These statements have not been evaluated by the Food and Drug Administration. This product is not intended to diagnose, treat, cure or prevent any disease. ** Always refer to the manufacturer s label on the product for description, recommended dose and precautions.